At the 2017 Augmented World Expo (AWE) in Santa Clara today, smartglasses maker Epson introduced two new augmented reality headsets from its Moverio line of products. 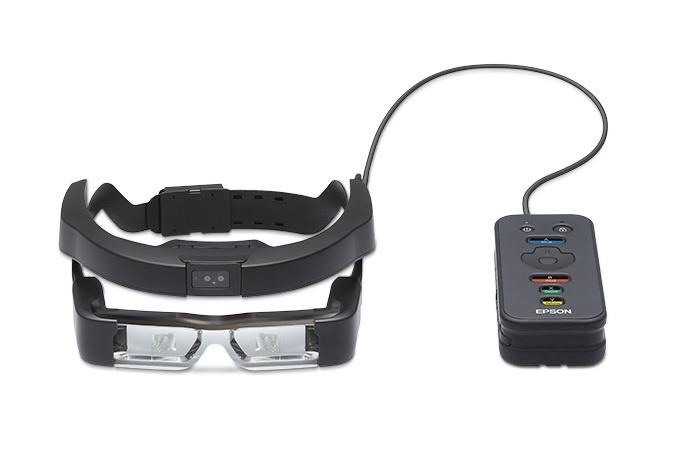 The Epson Moverio BT-350 augmented reality smartglasses are aimed to be shared among multiple users. It can provide remote assistance to fleets of field technicians in a workforce or immersive experiences to visitors at museums, amusement parks, and the like. Meanwhile, the Epson Moverio Pro BT-2200 headset is designed to accommodate safety helmets in industrial or enterprise settings. "Demonstrating Epson's ongoing leadership and commitment to the market, the Epson Moverio BT-350 are the first production-volume smart glasses designed for a busy, commercial environment where the glasses are shared by users," said Michael Leyva, product manager of Augmented Reality Solutions for Epson America, in a news release. Both models are expected to be available from directly from Epson or by way of select resellers in June; with the Moverio BT-350 retailing for $1,399 and the Moverio Pro BT-2200 carrying a price tag of $2,999. The Moverio BT-350 employs a flexible design made of durable components, with temples that extend so that one size fits all and adjustable nose pads to accommodate prescription glasses. An optional Quint Controller Dock ($699) charges and administrates up to five devices. 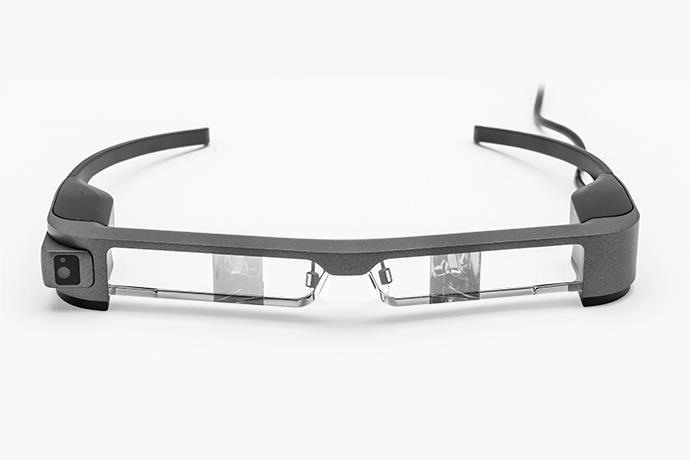 The smartglasses are equipped with a front-facing five-megapixel camera and Wi-Fi connectivity to facilitate remote support scenarios. Internally, it shares the specifications of its processor, Moverio BT-300. The latter model is powered by a quad-core Intel Atom X5 processor, runs on Android 5.1, and features a Si-OLED projection system to deliver augmented reality content. The Epson Moverio Pro BT-2200 headset is worn with an adjustable headband and forehead pad. Its lenses are held by hinges that allow users to flip the lens out of the way when not engaged. The Pro headset complies with ANSI Z87.1 safety glass standards. The device is also IP54 certified to withstand dust and water, and Epson claims it can withstand a fall from 1.2 meters. Like the BT-350, the Pro model carries a five-megapixel front-facing camera for remote viewing, with dual-band wireless connectivity and Bluetooth connectivity. The Pro model also boasts a removable battery, a wired control pad, and an ambient light sensor. Along with GPS, the Pro version deploys an inertial measurement unit (IMU) for precision location.